If you’re reading this now, you probably are active on various social media networks. It is now uncommon for a business to not have some sort of social presence and whether you use something like Facebook, Twitter, LinkedIn or Google+, you want to be driving people to your social content on a regular basis. Adding social media icons to email signatures is a great way to get loads of new fans for free! It is easy to include social media links in email signatures, but adding official social media network icons looks so much more professional. To add a social media icon, follow these simple steps. 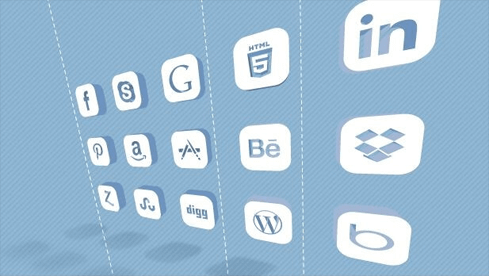 A Google search will showcase the icons that you need for Facebook, Twitter, LinkedIn etc. All you have to do is download the ones you require to your computer. If you have a dedicated graphic designer, ask them to create the icon to your specifications. You now need to add the social media icons to your email signature. Usually, this will be just below your contact details, but feel free to place them wherever you think is appropriate. If you use a WYSISWYG (What You See Is What You Get) HTML editor in Outlook, you can use the Insert picture button to add your social media icon. Now all you need to do is add a hyperlink to your social media profile. Using a WYSIWYG HTML editor is very easy. Select your image by click on it, click the Add a hyperlink button in the top menu and enter the URL that leads to the relevant social media page. The hyperlink should be the profile’s full URL e.g. https://www.google.com/+exclaimer, https://www.facebook.com/exclaimer or https://www.twitter.com/exclaimer. There you have it. You've successfully added social media links to an email signature. To add more profiles, simply repeat the process as many times as you wish. 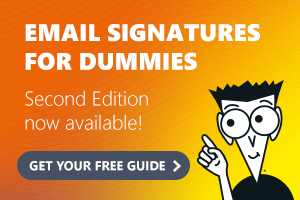 To use a WYSIWYG HTML editor for adding social media icons in Microsoft Exchange, Office 365 or G Suite, you need dedicated email signature software.